Live on the Blog: Updated 2019 "Best Pens" Recommendations! It’s April, and you know what that means: it’s time for the annual update to my “Best Pens” Recommendations list. There may be a few surprises on here, particularly in the “beginners” category, the $100-200 price point, and my list of personal favorites. I’m looking forward to hearing your thoughts! You can check out the updated list here. The 2018 list and the 2017 list are still live if you’d like to see how things changed. Montegrappa recently released a smaller version of its “Mule” copper fountain pen. 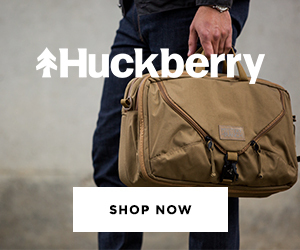 Deals & Drops: What's a Mini-Mule? Many of the new 2019 releases continue to trickle out, along with a few surprises like the Montegrappa “Mini-Mule,” a smaller version of their 2017 hit. I also went a little bit off-topic this week, with a few links to non-stationery items that may be of interest to readers. For the record, Cal Newport’s new book is a must-read! 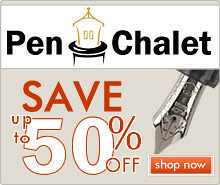 UPDATED: Pen Chalet is running an Easter sale! Grab 10% off your order using the coupon code “EASTER” at checkout! 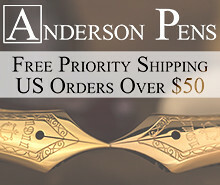 40% Off Pineider Pens (via Vanness Pens). 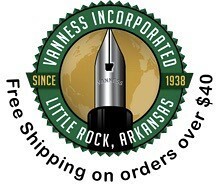 Vanness is still running a very attractive deal on Pineider pens. 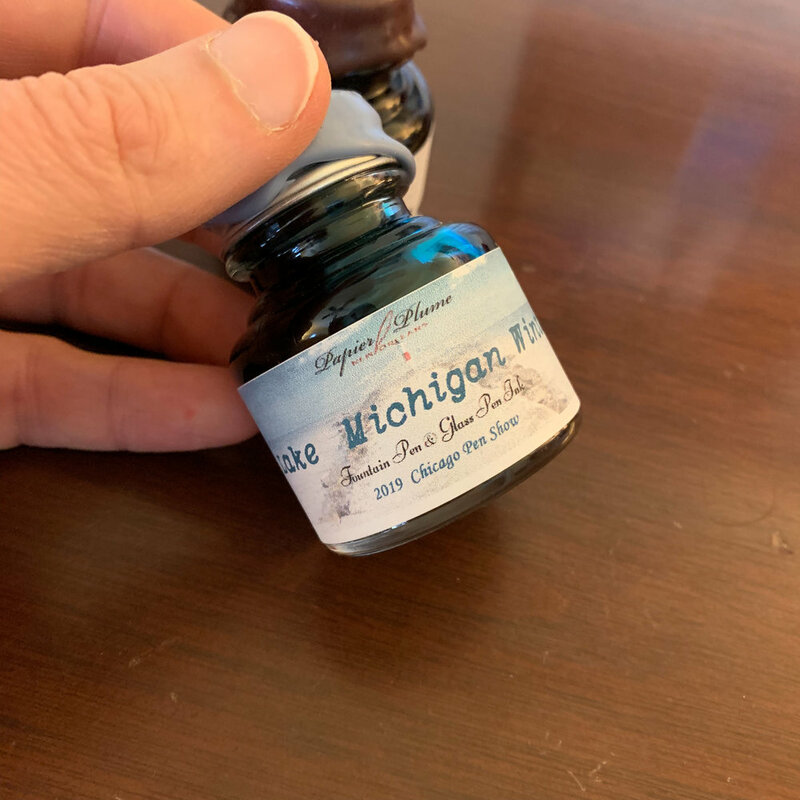 The fountain pens sport Pineider’s new semi-flexible “quill” nib, which I reviewed a few weeks ago. Aurora Optima 365 Coral Red (via The Nibsmith). This pen might be one of the prettiest Optimas Aurora has released yet - it’s a more muted orange-ish red than the standard red Auroloide. Lamy Bronze AL-Star and Ink (via Vanness Pens). I’ve not seen the pens in person, but the ink is very nice - similar to Lamy Copper Orange from a few years ago. Montegrappa Mini-Mule (via Pen Chalet). For those of you who thought the original Montegrappa Mule was maybe just a little too heavy or substantial, but still enjoy the shape and copper construction, the “Mini-Mule” may be for you. Loclen Electa Fountain Pen (via Pen Chalet). This machined, industrial-looking cartridge-converter pen comes in three different finishes, and it was one of the hits of the recent Atlanta Pen Show. Sailor Red Supernova and Purple Cosmos Pro Gear Slims (via The Nibsmith). Dan has the new Supernova pens in stock, along with the last batch of Purple Cosmos. Don’t miss out on the latter, because this time I think they’ll really be gone. Sailor Sapporo Mini in Light Blue (via eBay). Sailor is apparently bringing back the Sapporo Mini as part of its collaborations with Japanese Pen Stores (here, Morita). 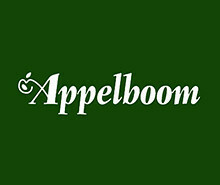 Pelikan M101N Grey-Blue (via Appelboom). Definitely one of the pleasant surprises from this year’s crop of limited editions. I thought this pen was going to end up a somewhat boring acrylic design, but after seeing it in person, it looks stunning. Visconti Homo Sapiens Chiantishire (via Goldspot Pens). 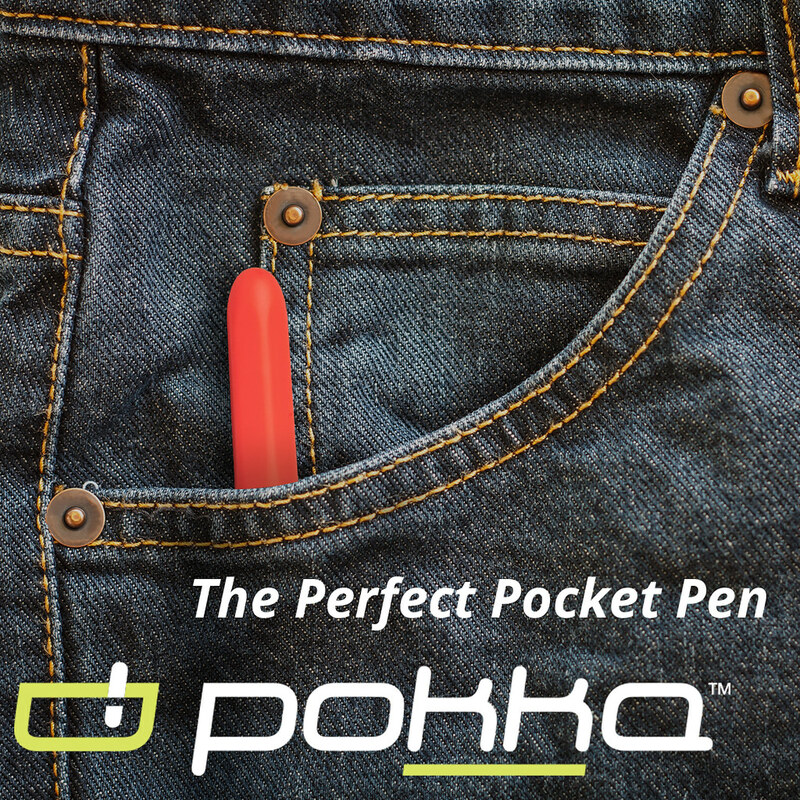 A pen for wine lovers! 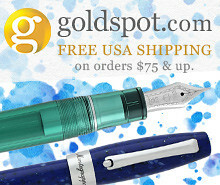 This pen would pair well with some burgundy ink, and Goldspot is offering a good price. Visconti Homo Sapiens Bronze (via Vanness Pens). Another great find from Grandpa’s basement. Grab a discount on the Homo Sapiens Bronze Age. Double-Sided Fountain Pen (via PenBBS/Etsy). 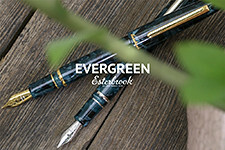 I’ve seen custom double-sided fountain pens, but PenBBS is now making one as part of its '“standard lineup,” now available in their Etsy store. Moonman N3 “Celluloid” Fountain Pen (via Amazon). 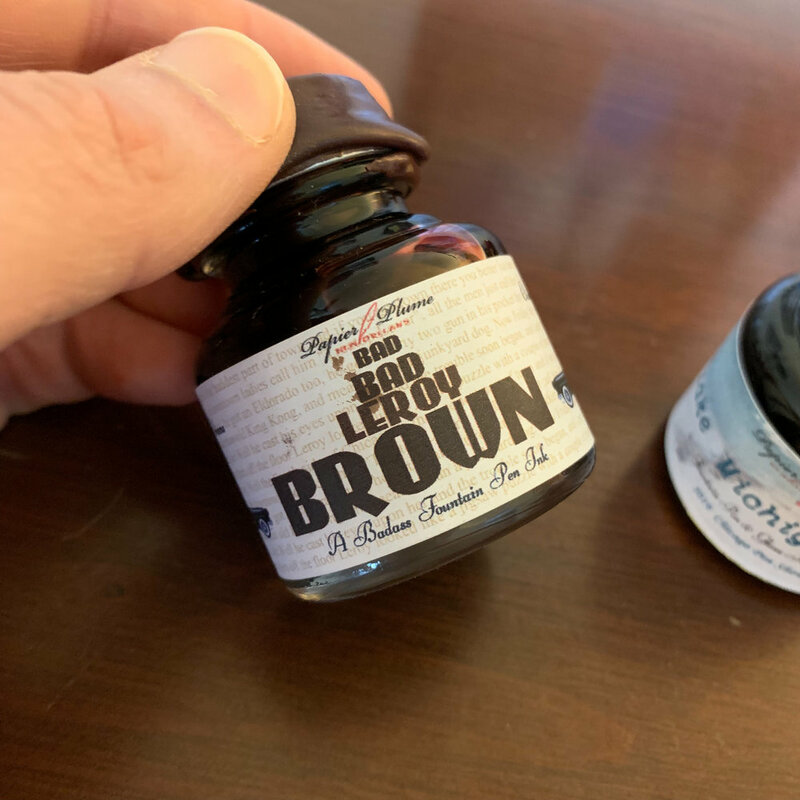 Uh, yeah, it’s not celluloid, but it is a nice-looking acrylic, and Moonman nibs are some of the most reliable inexpensive writers out there, on par with KACO. Pocket Knives (via Anderson Pens). I was surprised to see that Anderson Pens is now carrying a selection of small pocket knives from Buck, Gerber, and Leatherman, as they apparently expand into other everyday carry essentials. Shaving Gear (via Vanness Pens). One thing we sometimes forget is that many of our favorite stationery retailers don’t get by on stationery alone, but carry other goods. For example, Vanness stocks a wide selection of razors and wet shaving supplies. Digital Minimalism by Cal Newport (via Amazon). Some of you may recall that I used to write a newsletter called Digital Divide (the back issues of which are available here). I enjoyed writing on the various topics addressed, and have contemplated bringing back the newsletter from time to time but always run into the “hours in the day" problem. Cal Newport’s latest book has me rethinking that, and Digital Divide fans should pick up a copy.